When I came back to the wax world last January, I was immediately struck by how much the wax world has changed with the various ways to make an order and the many different business models. It took awhile to figure out all these new processes, learn the new lingo and check out vendors I have never heard before previously. The community has also exploded. Before it used to centre around MakeUpAlley but now Facebook is king. 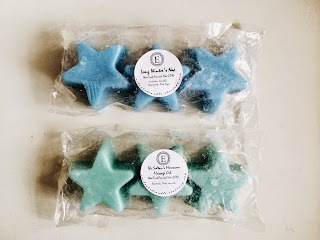 I am not a big Facebook participant because I am not quite there with the community's rhythm and quirks but I do read most everyday and I like to share when I come across a scent I really really like! 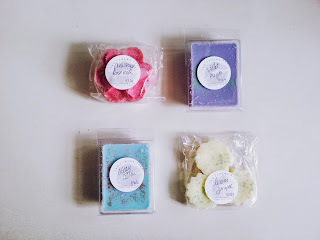 With so many existing vendors to try and new ones popping up every month, it took me some time to work through enough vendors to figure out my favourites - businesses that excite me and I would re-order from again and again. 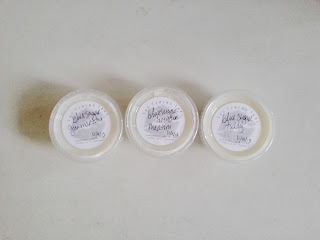 Before I start discussing my favourites, I want to give you some context into how I melt because it does influence my vendor preferences, given the range of wax products out there. I have two warmers that I use interchangeably at home. The smaller cream one can comfortably fit 0.8oz-1.2oz or approx. 2 clamshell cubes while the larger one works for bigger cups and chunks. I also have a third warmer in my office. 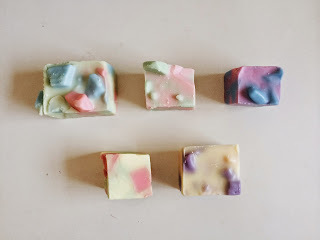 Since I melt mostly in small spaces like my room or my office, I prefer to melt smaller quantities and I find it a hassle to have to cut up bigger pieces of wax. I find that bigger chunks does not always equate to a stronger throw. My theory is that a shallower/wide scent pool allows for the throw to "evaporate" further as opposed to a thicker/same width scent pool. 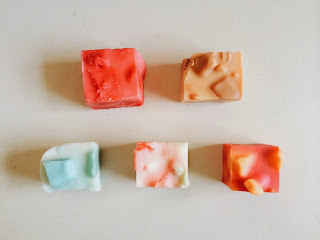 Scent List Diversity: I am not a bakery lover, preferring fruity, fresh and floral scents so any company I like must have a diverse and interesting scent list. Product Performance: Must have a very good scent throw and impact. Customer Service: I think this goes without saying that all customers appreciate good customer service from a business. Communications: This could be categorised under customer service but I thought it deserved its own point. Constant communications from a vendor is very important especially as the TAT is a longer one. I find that it helps make the wait more bearable. 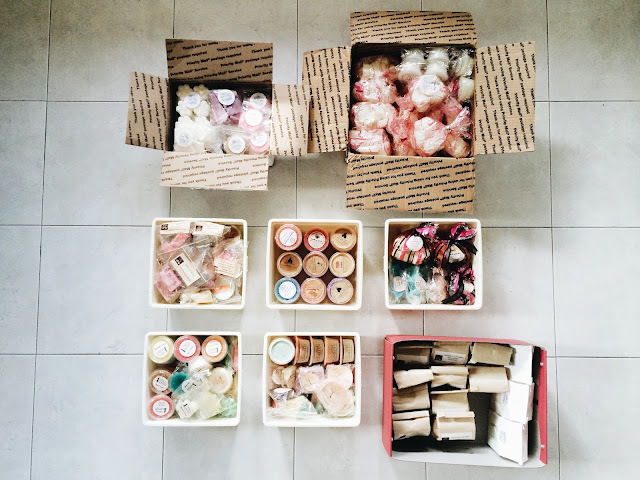 Ease of Ordering: Be it via a website or a Facebook group, an always-open website or restocks, having clear instructions and a simple process for ordering smoothes the way to completing an order. Convoluted instructions and badly organised websites turns me off from ordering, no matter how raved about their products. Turn-Around-Time: Like everyone else, I prefer a company with a fast TAT but I am also fine with waiting a few months if the products are superb. And finally, on to the list of favourites! 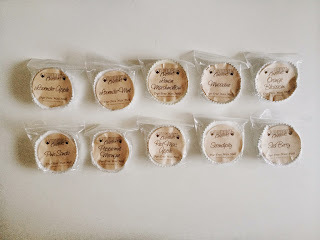 Enchanted Candle Company, owned by Debra Henry Galvan, burst onto the scene early last year, I remember seeing some small hauls in a Facebook group and I was intrigued by the Disney themed scents, and went off to investigate the company. 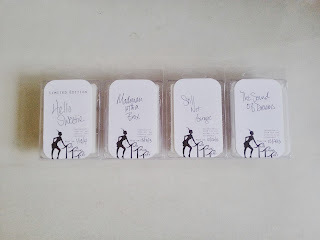 I found a delightful company with a diverse scent list of clean and elegant scent blends. 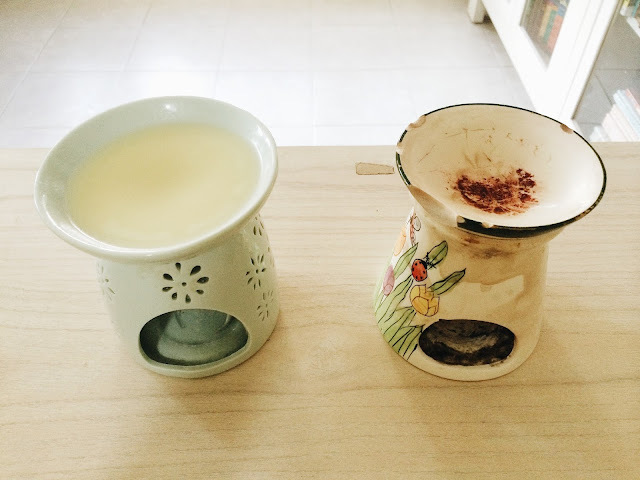 I don't think I have come across a scent that I actively dislike, everything I received have been really really good. There is a clean and simple style to her branding and the wax shapes that she offers, sometimes themed to the collection (which is adorable). I like that the wax shapes she offers are smaller than most which allows for me to melt it in my smaller warmer. She also offers different quantities which is great once you have found a favourite! Her TAT is very reasonable and her wax consistently throws well for me! It's no wonder that this is my most-ordered company (5 orders)! Unfortunately, she has closed up shop this year to concentrate on her health and there are no plans to open back up. Rosegirls, by Jenny Oaks, is undoubtedly one of the biggest companies in the wax business and has even expanded to a retail store in their hometown! 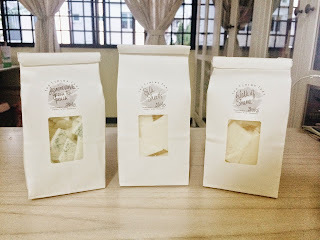 While they are famous for their bakery blends, Jenny also has a great range of non-bakery scents and blends. 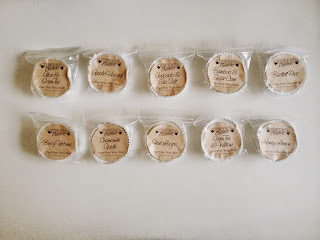 Her bakery blends are so yummy sounding and so talked-about that even I want to order them! 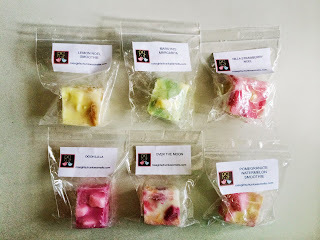 The wax is beautifully made and one of the most colourful and distinctive chunks out there. However, they are sold in bigger quantities with no option for singles so be prepared to spend a little more. I have had two orders so far, a sampler and a customs order. Ordering is via an easy to use website with the very helpful feature of a wishlist registry. You have to join the Facebook group to receive information on the openings and what is available each time. It's also where Jenny communicates with customers throughout the TAT, she is very consistent and conscientious about it, which I really like. Another thing I really like is how she is always trying to innovate her business model to satisfy her fan base! Out of the five companies, I have been ordering from Ten Digit Creations the longest! Ken and Amber offers an amazing scent list (heavy on fresh, fruity and spa scents), one of the best prices in the business with regular specials and a lot of flexibility in buying small or large quantities of wax. 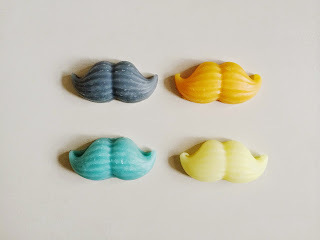 Their single wax melt is a perfect 1oz for my bigger warmer and I love unwrapping them to pop one full tart in. The branding is clean and simple, and very recognisable after their many years in business. They are almost always open and one of the best things about TDC is their ridiculously quick TAT (1-3 days)! This is a unpretentious, friendly company that I would recommend specifically for a wax beginner! Tiffany Candles is the latest entrant to make my list of favourites! Her wax have been throwing extremely well for me and I made a second order recently that includes my first TC scoopable! 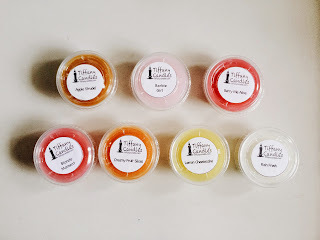 Like TDC, I love the size of her single wax melt in a traditional fluted shape (about 1 oz) and she has a range of wax products from small to large quantities. Her scent list is moderate, on the smaller side, but it covers all the basic scent groups and she has really interesting blends during her RTS restocks. Tiffany runs a hybrid ordering system where her website is open almost all the time with RTS stock and items from her re-stocks. For the first week of every month, you can also make custom orders. Her TAT is very quick (up to a week). Another plus for Tiffany, she refunds shipping overages! I love Two Timing Tart mostly for its scent list, it is probably the most unique list out there among the vendors. 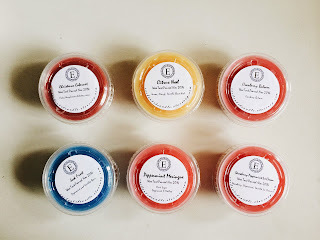 Becky Anderson creates scent blends like no other vendors! Like Rosegirls, TTT operates out of Facebook with updates about upcoming restocks for the website. The wax is priced very reasonably and the website is easy to use. 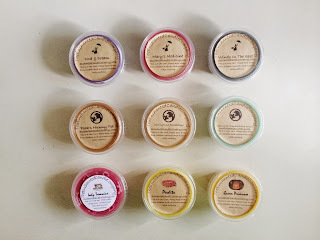 Her current wax formula throws well for me and I recently have a new order to confirm this. However, her restocks are very irregular because Becky works on TTT on top of her regular day job. 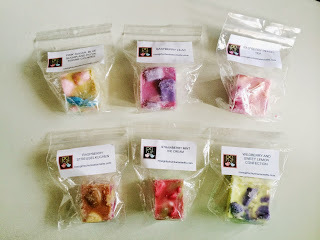 There is also an element of the unknown because different shapes, quantities and scents are offered at each restock and you never know which of your favourites is going to come back. Great post! I love this. RG and TDC are high on my faves too. I just love all of Amber's earthy scents. I really need to order from TTT again. I adore her unique blends so much. I am sorry about ECC. I hope you have enough to carry you on for a bit. Excited for you to get your Tiffany scoopable! I need to grab a Birthday Bash one from her soon. A top vendor list for me would be a challenge right now. But it would be fun to try! Hello, my name is Michelle. 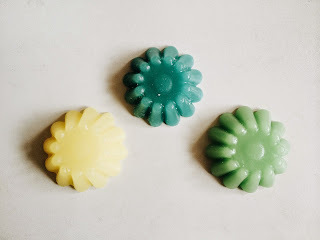 I used to have a blog documenting my wax and beauty thoughts. That was in 2010. Four years of sporadic buying and lack of documentation later, I seem to have regained my enthusiasm for wax and beauty, so here's another stab at attempting to document them. Oh, I also have a photography blog documenting my love for film photography and travel.
. . . It's Always Something . . .
My weekly melts & empties!